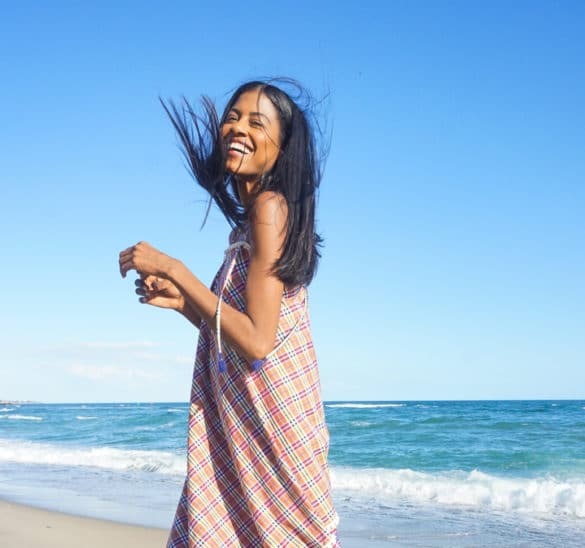 Planning a vacation and not sure what to wear? A maxi dress could be the answer to your needs. A long length dress brought back to the fashion radar by Oscar de la Renta in the ’60s; it is the best piece of clothing to bring on vacation for multiple reasons. 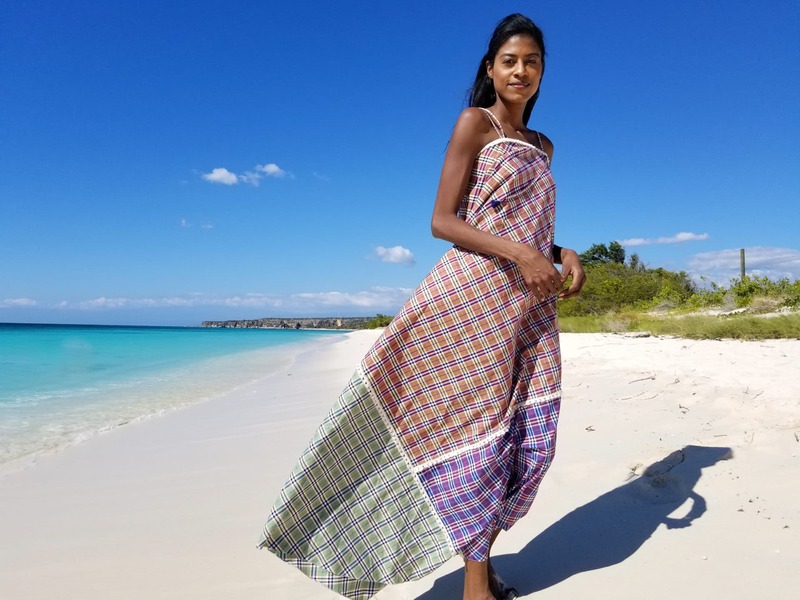 Not just a comfortable travel dress but fashionable and contemporary designers like Sandhya Garg make it count on their collections. 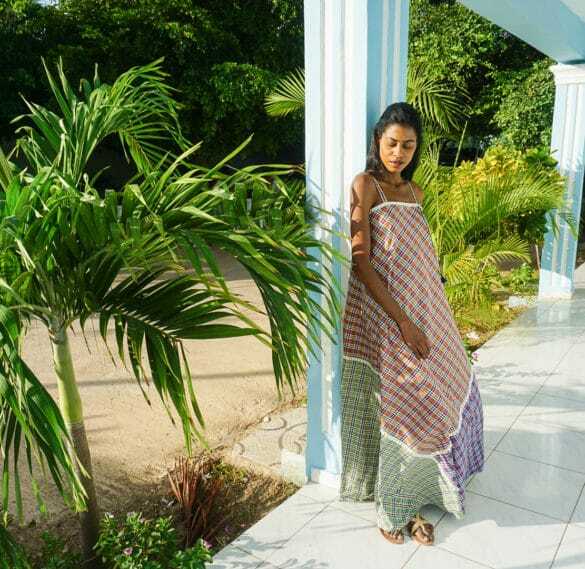 In the 1970s, the maxi dress was still trending but with a twist. The prints changed to a duller look, tiny florals and lace were popular. 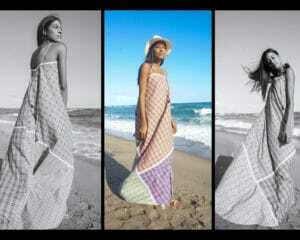 It was constructed mostly with cotton and polyester blends. The silhouette was influenced by Edwardian and Victorian eras. The 1980s was a combination of bigger shoulders from 1940 and 1950 bodice with a stronger and sexier style. The dress disappeared for about 2 decades, and it came back stronger than ever. It is safe to say that the maxi dress has evolved and it is no longer a trend but a timeless fashion item; just like an off the shoulder top, it has won a permanent spot in our closets. Its versatility makes it the perfect companion to travel and every fashion season designers showcase the best of the best on the runways. 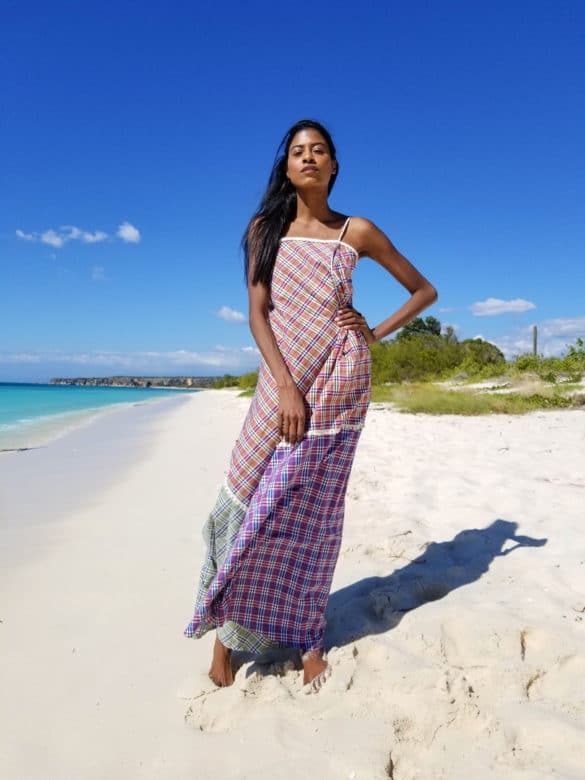 Sandhya Garg, Project Runway Season 13 finalist, created the Chiara Dress, as she describes it “made of luxurious 100% cotton, featuring Amalfi coast inspired Madras checks”. A long flowy dress with an asymmetrical cut and artisanal embellishments. The length is perfect for taller women, and the back design is fresh and innovative. 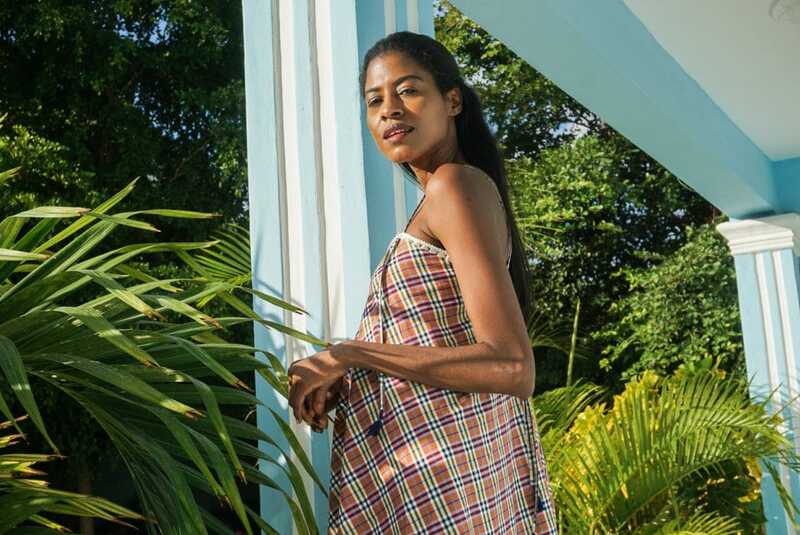 The Chiara dress could be worn for different occasions: weekend activities, a resort stay, a festival, family gatherings… It is the perfect choice to wear on vacation. Made of cotton, ideal for warm destinations. This resort wear garment is one of a kind with its unique design of 3 different patterns linked by a beautiful lace. I wore it during a trip to the Dominican Republic, and it was a show stopper. Depending on the accessories or shoes chosen, you can dress up/down your look. Wear a maxi dress with sneakers for a comfortable and more casual look. Adding a Panama hat will make you look effortlessly chic. Wear a belt to accentuate your waist, add a cute necklace and earrings to complement the whole look. Layer up with a jean or leather jacket for cooler temps or add a long sleeve shirt under the dress to add warmth. Solid colors or pattern, strappy or long sleeves, wear it all year round. 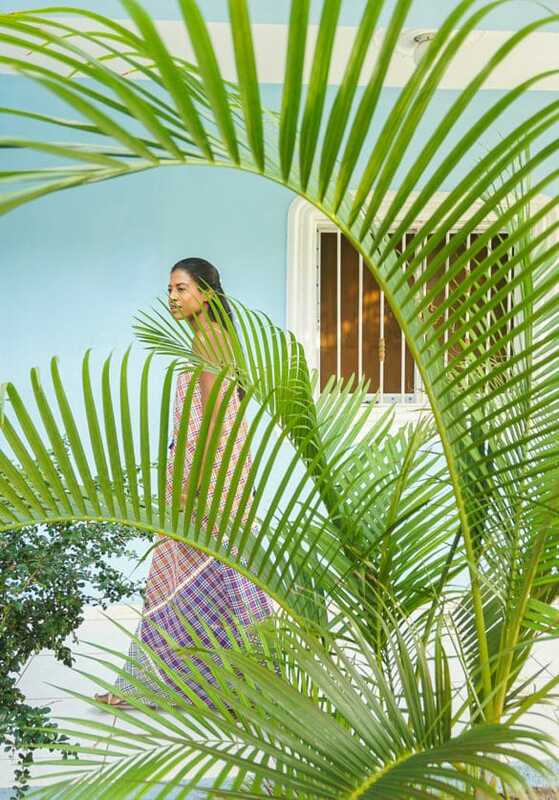 Definitely, a maxi dress is a wardrobe staple that any traveler should consider to bring when discovering destinations. Let’s take a look at some accessories to complement your look.